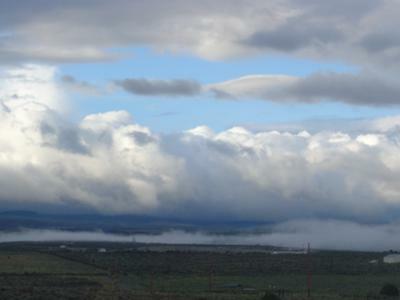 It is unusual to see a roll of fog resting along the base of Pinon Mesa. This wonderful rainy spell is also bringing the smell of wet sage - one of the best smells on earth. That is a very unusual photo. You are right, wet sage brush is one of the most wonderful smells on earth. I miss the smells of Colorado. Join in and write your own page! It's easy to do. How? Simply click here to return to Glade Park/Piñon Mesa Picture Gallery.